No matter what rubbish we collect, we make sure that it's recycled. From House Clearance, Office Clearance, Furniture Disposal, Junk Removal, Garden Clearance and good old Rubbish Removal we make sure that anything collected is diverted from landfill. Our staff do all the work and we make sure that the service provided is accomplished at the highest standards and to the best of our ability. 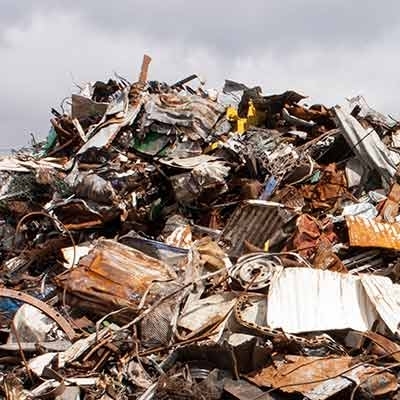 It's no surprise that hundreds of customers already use All Your Junk on a regular basis because of our professional, prompt and reliable service. We can take care of all your House Clearance needs, wether you would like a few items removed and recycled or an entire house full of old or unwanted furniture we can accommodate you. Let us take on your business recycling services. We’re committed to helping businesses reduce their impact on the environment and are on a mission to reduce the amount of waste sent to landfill. 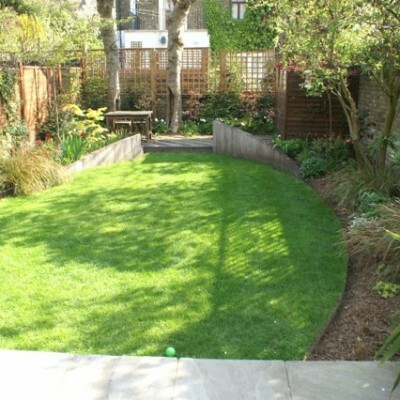 We offer a prompt, efficient and affordable garden clearance and Garden Refuse removal service. Our large tipper trucks are fully equipped with the shovels, forks, brooms, rubble bags and rakes required to clear your garden. You could be living in a cleaner, more spacious house right now if you took the time to clear away the unwanted junk that clutters your living space. Our Junk Removal team is fully equipped to remove and recycle all types of waste including bulky items like furniture, white goods (washing machines, fridge freezers), beds, carpets, office waste, garden waste and much more. Don't you just HATE clutter and unwanted junk? Isn't it one of the most annoying things to deal with? At All Your Junk, we feel exactly the same way. Click the image below to see some jobs we've completed. BANG! - And the junk is gone! Don't you just HATE clutter and unwanted junk? Isn't it one of the most annoying things to deal with? At All Your Junk, we feel exactly the same way. Call 0800 193 8972 / 078 0942 8810 or fill in our enquiry form here » for a free estimate, if the estimate is within your budget based on your description we then book a time to potentially clear your junk. 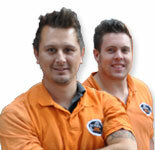 On arrival the team will always do the exact free quote. Our uniformed two or one man vans arrive on time, within the arrival window, to perform a final quote. This is the price you pay. No hidden charges. Having seen it they are able to quantify it immediately. As things may have changed between the time the call was made and our teams arrival. If the free quote is accepted the team do the work straight away. If the free quote is not accepted the team leave and it's considered a free quote on your behalf. We clear and load all unwanted junk. We recycle what we can and dispose responsibly of the rest. 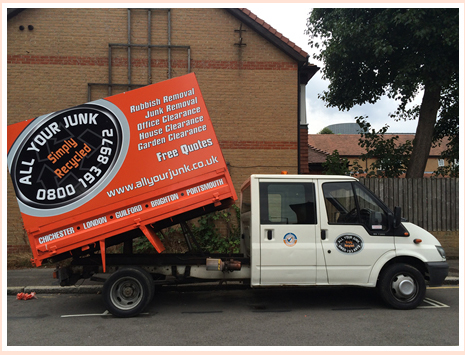 All Your Junk provides Junk Removal and Rubbish Clearance in London, Guildford, Surrey, West Sussex and surrounding areas. Surrey Areas: Guildford, Woking, Farnborough, Dorking, Farnham, Aldershot and surrounding areas. West Sussex Areas: Rubbish Removal Chichester, Bognor Regis, Worthing, Brighton, Portsmouth, Burgess Hill and Horsham. Our Chichester Based services include: House Clearance Chichester, Office Clearance Chichester and Garden Clearance Chichester. 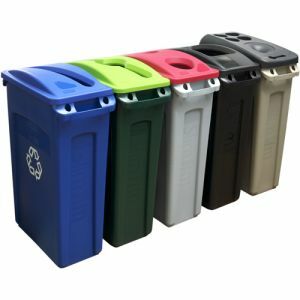 With everything we know about the benefits of recycling, responsible residents ask the question, why can’t recycling be easier? Effective house clearance through responsive recycling can be a daunting task for anyone who wants to get rid of clutter. It is every resident’s responsibility to help the authorities protect the environment. The best way to contribute is to get as much waste recycled or safely disposed of as possible. it is important to undertake an office clearance on a semi-annual basis to remove rubbish and reorganise the office to ensure that it is being used to its full potential. 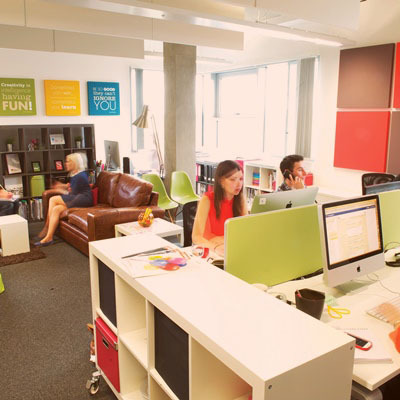 Make the most of your Office space with Annual Office Clearance. It is estimated that we throw away as much as one million tonnes of textiles every year. Recycling reduces the need for landfill space. Textiles present particular problems in landfill as synthetic (man-made fibres) products will not decompose, while woollen garments do decompose and produce methane, which contributes to global warming. All Your Junk Ltd. has been a proud member of Trust-A-Trader since 2012. We are proud to be associated with a company that portrays trust. 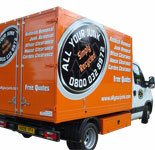 At All Your Junk Ltd. we want nothing more from our clients other than their trust and complete satisfaction. Here are a few tips that you can implement to help reduce your impact to the environment: Take old clothes to clothes banks & charity shops, support fashion brands and businesses which source products ethically and customise your own clothes or clothes you have bought from charity shops. 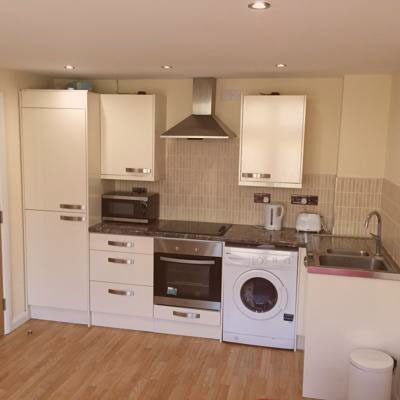 We have dealt with thousands of different types of clearances and have developed methods to make the process as easy as possible, no matter what the situation is. Whether it is a big office clearance or a small amount of junk to remove our uniformed, professional staff will deal with it quickly and efficiently. 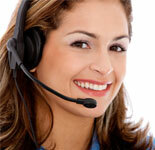 We are very flexible and accommodate most types of clearances. We're focused on reducing our impact on the environment and are committed to recycle what we can as often as we can. Skip hiring can be hard work, time consuming and expensive. Why not pay only for what you get rid of and let us do all the heavy lifting for you? We strive to ensure a positive customer experience and aim to maintain good working relationships with all our customers. 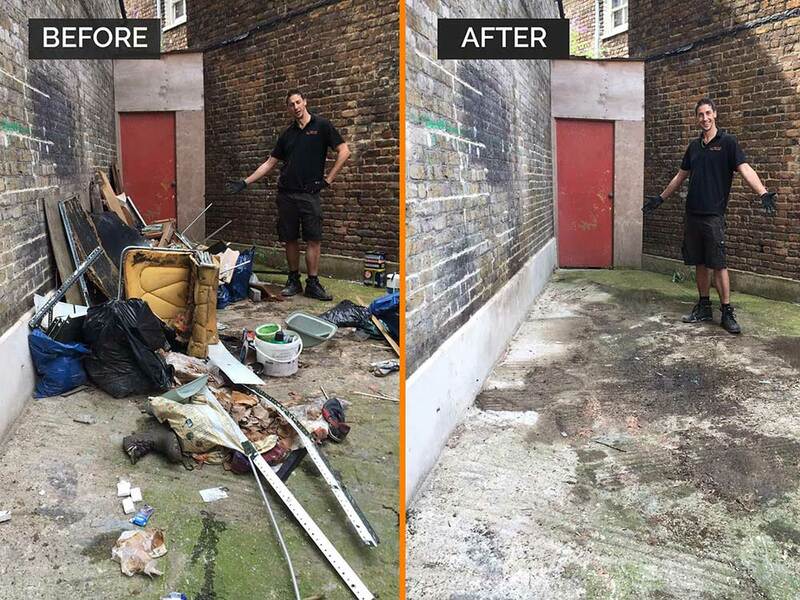 We've been clearing and removing junk from homes and businesses throughout London since 2005. We're a friendly team who work well together, constantly striving to deliver the best possible service to all our customers. We won't leave you waiting for ages. Book a scheduled appointment at a time convenient to you. You can also get your waste and rubbish removed the following day.